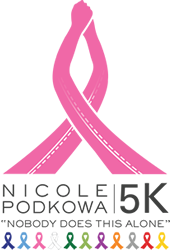 Join us for our 2nd Annual Nicole Podkowa 5K Run/Walk. Mostly flat and fast loop beginning and ending at The Bay Club Recreation Center. Each mile will be marked. Water near halfway point and Start/Finish area. Guaranteed during early bird registrations – until April 1st. If you’d like to donate to the Nicole Podkowa Patient Family & Caregiver Fund, please call 508-973-3077 and leave a message or donate online. NOTE: Parking at the Bay Club is reserved for handicapped vehicles only. All other participants are asked to park at Old Rochester Regional High School, 135 Marion Road, Mattapoisett, MA 02739. Shuttle service will be provided.